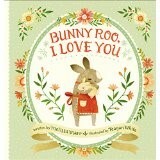 Bunny Roo, I Love You, is a beautiful, non-rhyming picture book that reads like a series of riddles. It starts off, “when I met you,” and uses descriptive terms like small and trembling, but moves on to things like howling, whimpering, and yawning. The soft water-colored illustrations show an animal as it is guessed. Each page offers an individualized cause and effect common with the particular animal. For instance, when the narrator thinks it might be a thirsty kitten, because of the whimper, milk is offered. The use of the second person throughout is a good ploy for involving even the youngest reader. Obviously, this is about identifying the baby. It is reminiscent of Eastman’s, Are You My Mother, but in the opposite direction. It is a fantastic read aloud for parents, teachers of preschoolers and librarians, but also a great example of the literacy skills of cause and effect, parts to whole and sequence of events. Beginning readers will enjoy following the clues on their own as well as guessing each animal and then studying its habitat in the illustrations. 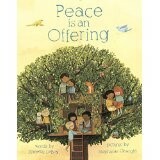 Peace might be a difficult concept to explain to the very young child. But not if you have this beautiful rhythmic, sometimes rhyming book. It is an explanation in poetry that meets children where they are every day. They will recognize the settings and characters. This book tells them what to do to make their friend or sibling feel better. It is a calming book that still offers movement. The illustrations are colorful and show diversity of characters. They also offer dozens of details for children and adults to notice and discuss. Timeless questions are included that will challenge the librarians, teachers and parents reading aloud to stop and think about their own busy lives. 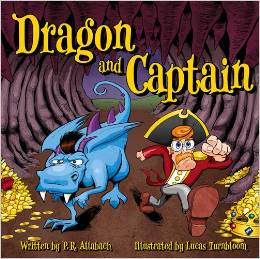 Grade one students and younger will love hearing this book read aloud time and again. Teachers can use this to fulfill core curriculum standards in the area of social studies, understanding others and solving problems with peers.